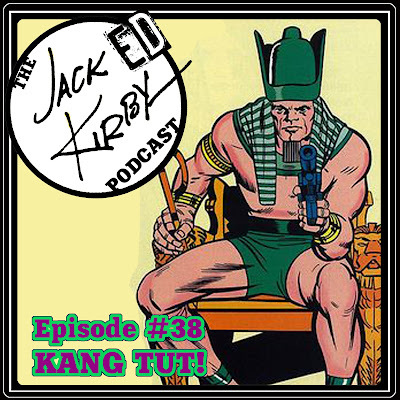 Cultural Compulsive Disorder: The Jacked Kirby Podcast: Episode #38 - Kang Tut! The Jacked Kirby Podcast: Episode #38 - Kang Tut! From beneath the surface of the Earth, Gary returns to talk with Tommy & Mike D. about Marvel Comics’ time traveling fiend RAMA TUT/KANG THE CONQUEROR! Specifically, how his past (and future) were ret-conned using early Marvel Universe time travel! Wacky stuff! As usual big shout outs to our super producer Rob Martin for making the podcast sound unbelievable and getting the show post week in and week out!!!! Big thank you to Gary Esposito aka The Mole Man for finally slithering his way into the CCD studio to record with us!